Whether you celebrate Valentine’s, Gal-entine’s or neither, it’s always good to have a handful of romantic recipes for the repertoire. We generally don’t do much for Valentine’s Day around here beyond setting a pretty table and cooking a special dinner. Danny and I always stay in, because if a decade of restaurant experience will teach you anything, it is that February 14th is one of the worst nights of the year to eat out (expect rushed service, hastily prepared foods and stressed staff). So Clara puts out candles and makes place cards for our table and I whip up something dreamy in the kitchen. This year we’ll probably eat all together, but when our children were really young, we’d feed them first and then enjoy a ‘date night in’ dinner for two when they were asleep. However you choose to celebrate at home, one thing is certain: the menu is of the utmost importance! Although most of my recipes here on Simple Bites lean toward the practical (chicken soup! breakfast sandwiches!) I do have a lovely little collection of recipes I consider to be romantic, and today I’ve rounded up the best ones for winter. A plate of finger food sets the tone for a memorable meal and these little nibbles are downright sensual. 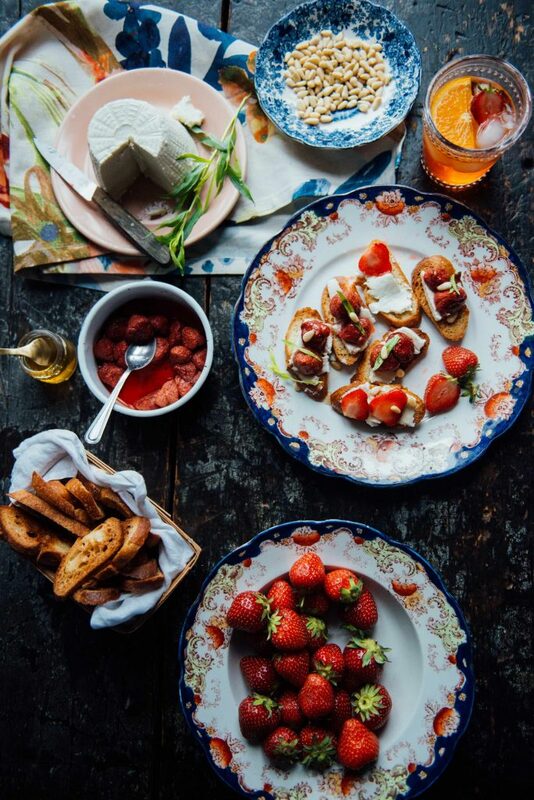 Honey-Drizzled Strawberry Ricotta Crostini ~ I’d rather splurge on fresh berries than flowers in February, wouldn’t you? Slow roasting these fruits brings out the sweetness and a touch of honey marries the berries and the soft ricotta in one delicious bite. 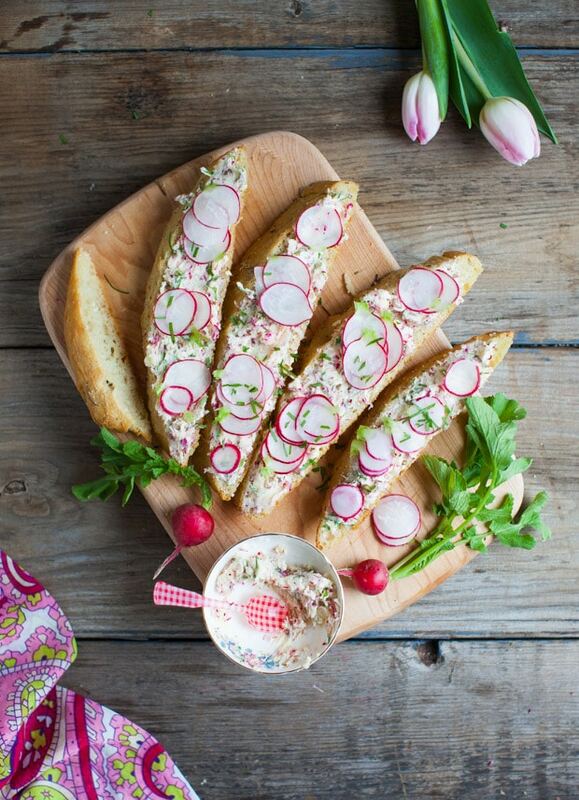 Sea Salt Focaccia with Radish Ramp Butter ~ If you’re new to radishes & butter, now is the time to discover this French pairing, just as spring radishes are about to pop out of the ground. You can substitute chives for the ramps in this recipe and serve the butter on your favourite sourdough if you don’t bake up fresh focaccia. Don’t forget the flaky salt! 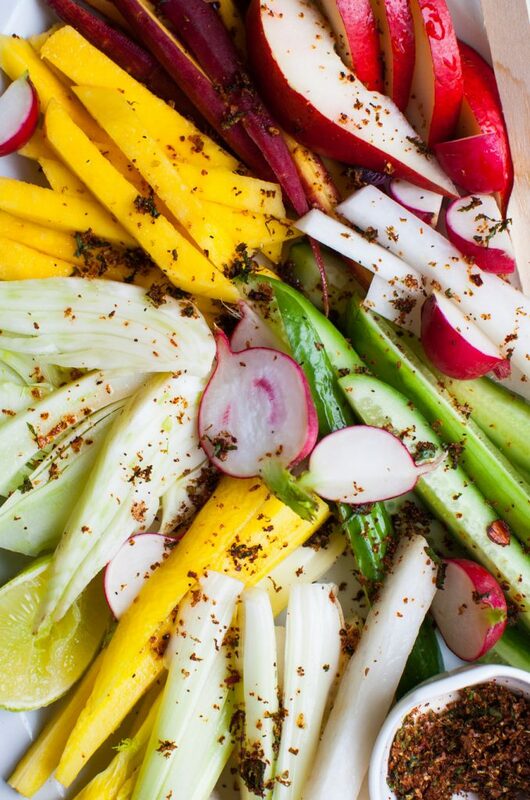 Crudité with Chili, Lime and Sumac ~ Spice things up with a simple winter crudité platter seasoned with the flavours of Mexico. Your taste buds will thank you for awakening them with bold cilantro, tangy lime, and a hit of chili. 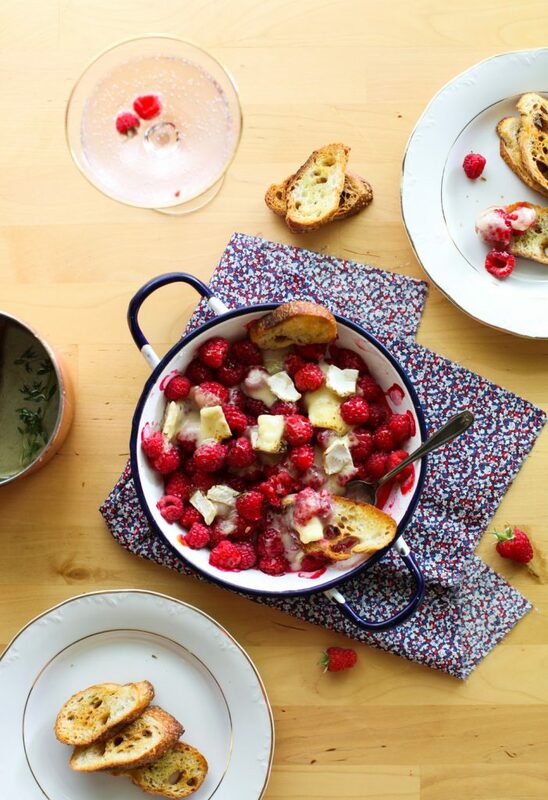 Raspberry Brie Brûlée with Toasts ~ A honey-drizzled raspberry brie brûlée works for both a nibble for two on a date night in or an entertaining appetizer for four. For a dish requiring very little effort, the result is highly rewarding. 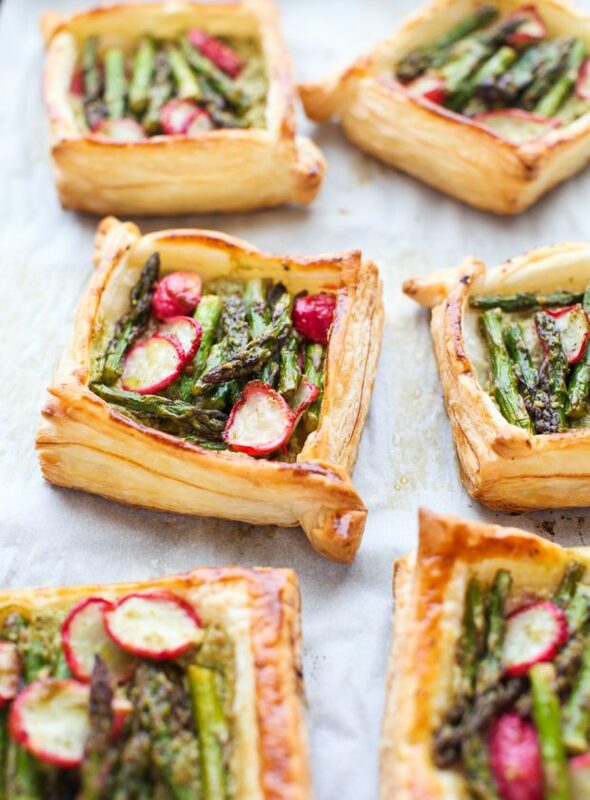 Pesto & Ricotta-filled Asparagus and Radish Tarts ~ These little showstoppers are easier than they look. Serve them as an appetizer or plate them on a dressed green salad for a light dinner dish. If it were just me, I’d choose two steamed lobsters, two bibs and a bowl of garlic butter to share. Now that’s a romantic dinner. But if you don’t live in Nova Scotia or know a lobster guy who lives down the road, here are five romantic dinner ideas. And if I may offer a spot of advice — get in the kitchen with your partner and cook this meal together. Open a bottle of wine, put on some music and catch up on your day while cooking. Oh, and leave the dishes until morning. 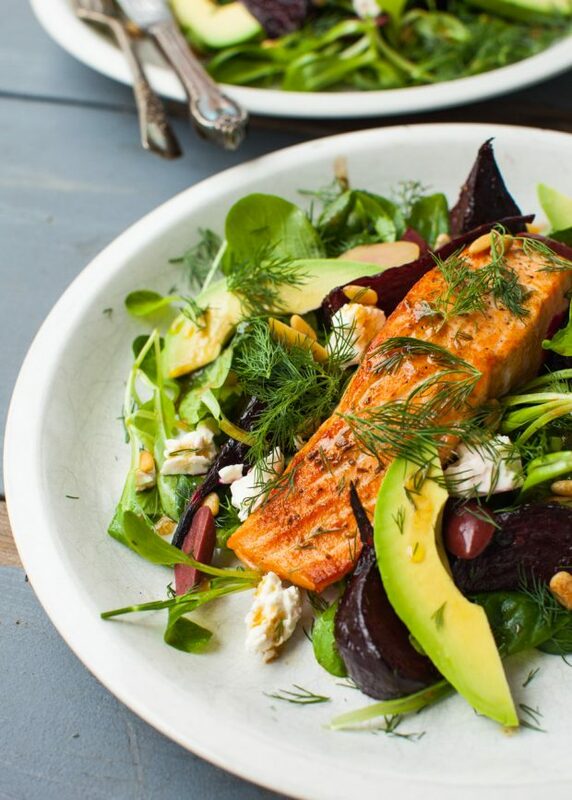 Warm Salmon and Spinach Salad with Roasted Beets, Avocado and Feta ~ Bright flavours, bold colours and an array of fantastic textures make up this memorable main dish salad. Nearly all of it can be prepared in advance, even the seared salmon. An enticing plate for a special occasion. 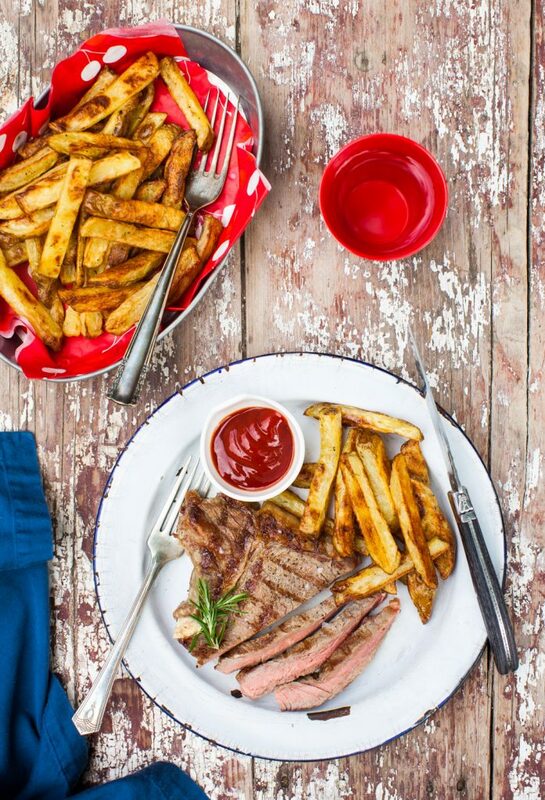 Steak Frites ~ This one is for the meat & potatoes lovers out there. A classic, done right. Top your steak with a chimichurri and for a fresh and vibrant side dish, serve this Carrot Salad with Cilantro & Cinnamon. 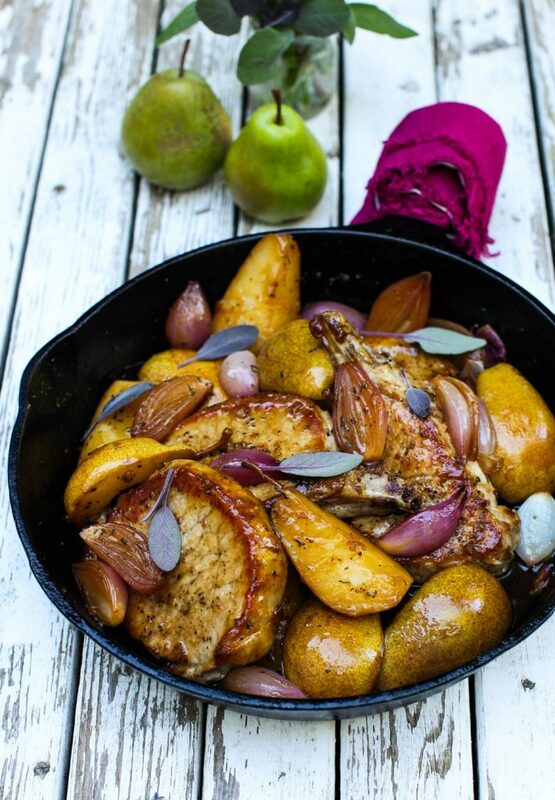 Pork Chops with Roasted Pears, Sage and Shallots ~ Winter flavours sing in this succulent dish, where everything is coated in a maple syrup cider glaze. yuuuuuuum. 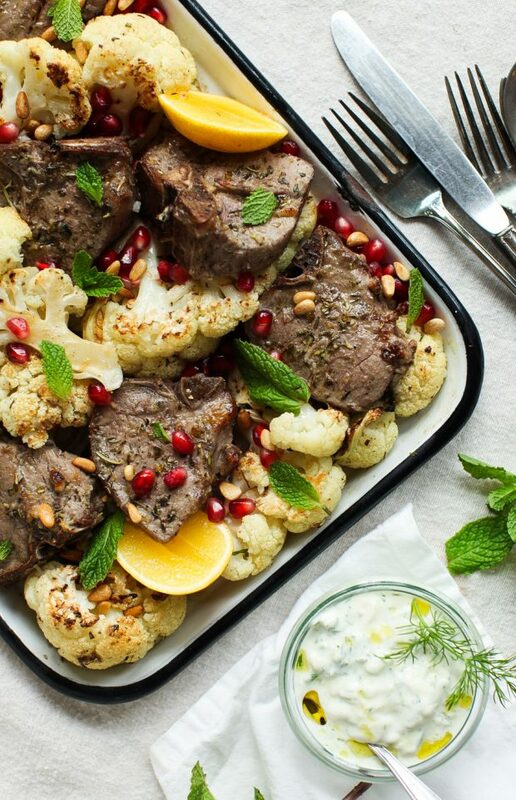 Sheet Pan Zesty Lamb Chops and Cauliflower ~ Lamb is my go-to for a special dinner; thanks to the simplicity of this one-pan dish, it’s also fast and easy to prepare. 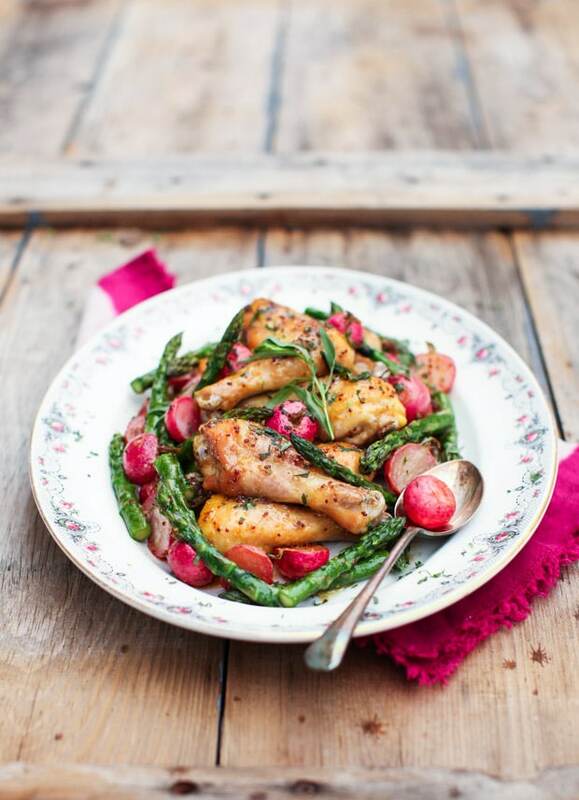 Maple Mustard Chicken Drumsticks with Roasted Radishes & Asparagus ~ Another super simple sheet-pan dinner with absolutely delicious results. Are you sensing a theme? Ease of preparation with maximum flavours. A sweet finish is essential for a romantic meal. I know chocolate is a favourite with nearly everyone, but consider light citrus desserts as well. 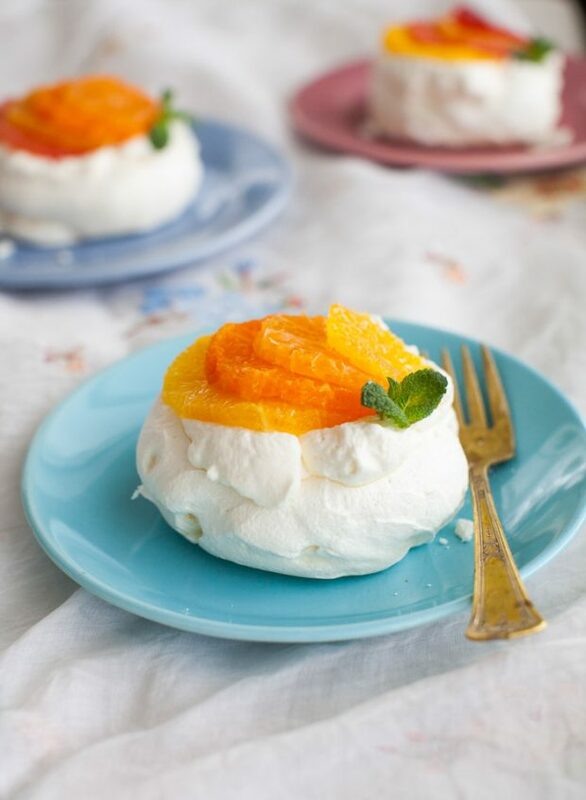 Mini Citrus Pavlova ~ Cute, seasonal, light-as-a-cloud – this mini pavlovas can be topped with any fruit you like. I find tangy citrus pairs well with the sweet meringue, but feel free to improvise with your favourites. 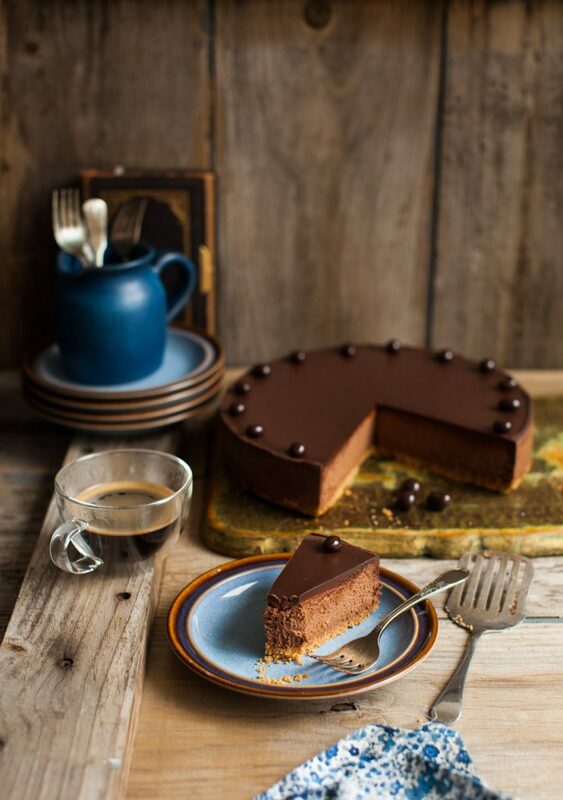 Espresso Chocolate Cheesecake ~ For the chocolate lovers out there, this decadent dessert is spiked with espresso for an even darker chocolate experience. Bonus? You actually now have a chance at making it through the post-dinner rom-com flick. 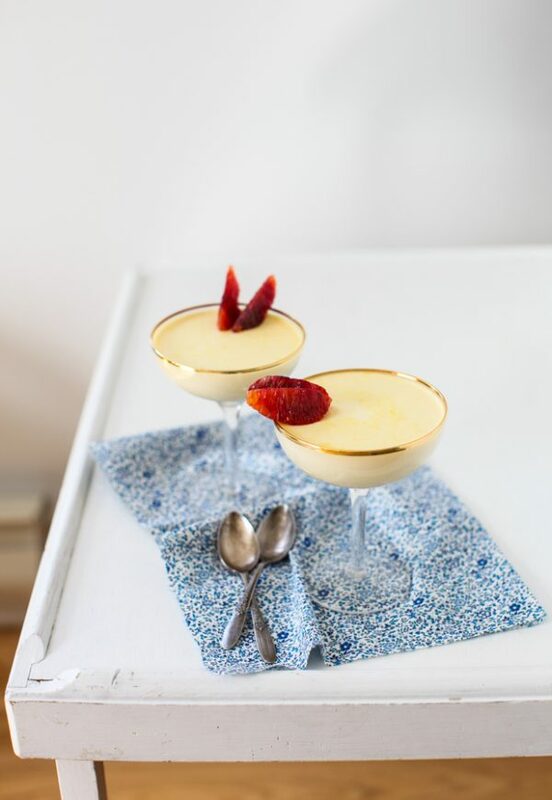 Blood Orange Panna Cotta ~ A winter favourite! Elegant and simple, this panna cotta is sweetened with maple syrup, which plays beautifully with the bitter orange zest. Lemon Berry Stripe Cake ~ The show-stopper of show-stoppers. 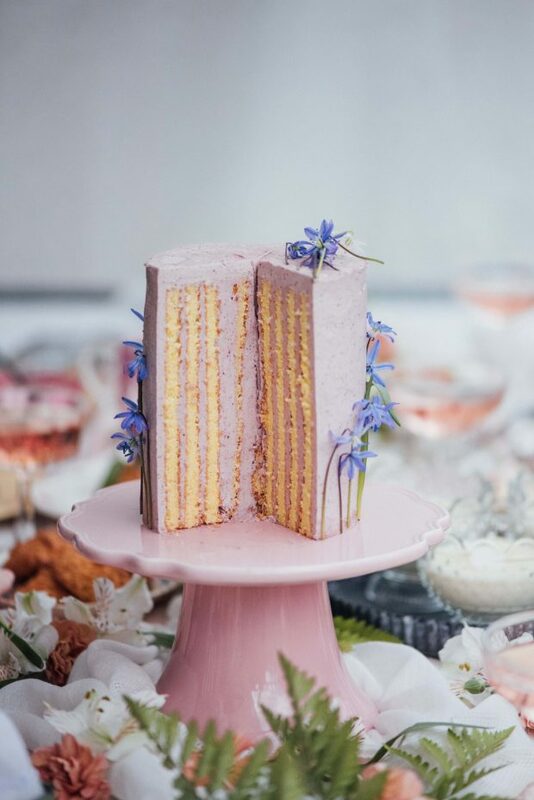 Bakers, this stunning vertical striped cake is layers of berry buttercream sandwiched between a soft sponge. If you make this recipe, you may want to skip appetizers and dinner and just go straight to dessert. Mocha Pie with Espresso Whipped Cream ~ Think of a rich pudding of dark chocolate and coffee, tucked into a flaky crust and topped with mounds of espresso-spiked whipped cream. Heaven, basically. 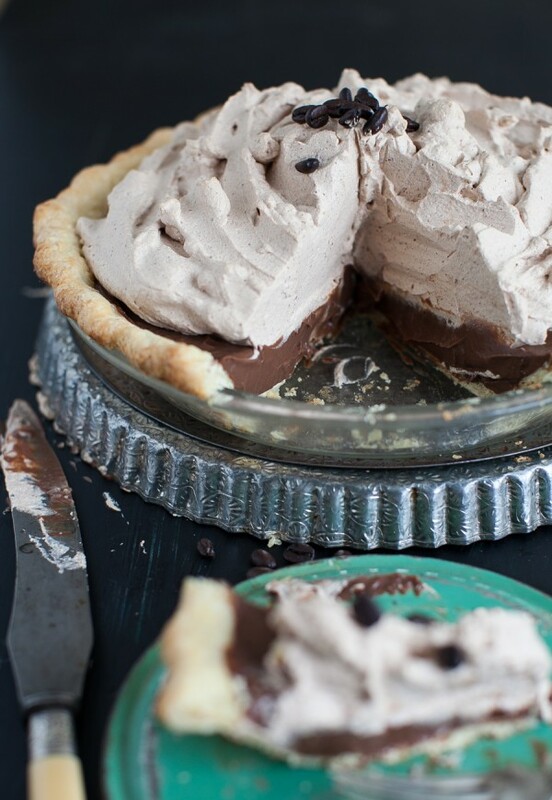 Psst: if you’re not a coffee nut, you can easily customize the recipe into a chocolate cream pie. We hardly ever go out on the 14th either, I much prefer to stay in and cook together which is our plan for Thursday!